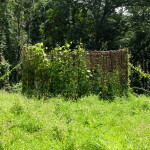 A mysterious, vine-woven figure recently appeared behind the Schuylkill Center’s Visitor Center building. Though lacking facial features or limbs per se, it feels human-ish and appears to gaze over the hill into the forest. This sculpture, created by Brooklyn-based artist Anki King, was the first piece from our fall exhibition to be installed this summer. 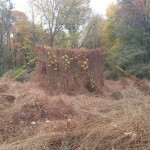 King harvested vines from the Schuylkill Center property while they were still growing strong in the height of the August growing season for maximum benefit to the ecosystem as well as pliability. Over the next few weeks, nine more artists will install their work in our environmental art gallery before the show officially opens on Sept. 13. Their work spans a diverse range of practices and materials – along with this vine sculpture, there will be on display wet plate collodion photography, weavings from discarded textiles, ceramic tiles with embroidery details, drawings, polaroids, cyanotypes, printed monotypes and more. What these works have in common is that all of the artists were 2018 participants in Art in the Open, a public art program in which selected artists create their work on Philadelphia’s Schuylkill Banks for three days. We are pleased to be offering these artists the opportunity to adapt their work to our spaces, continuing our partnership with this citywide program for the third time. Akin to King, Sivan Ilan utilized unconventional materials in her work, challenging their typical perception as waste or undesirable materials. 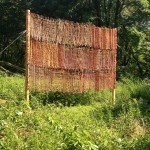 A master’s student in textile design at Philadelphia University, she created large woven panels made exclusively from scrap fabric found in the university’s studios. Mia Rosenthal and Christopher Wood present different kinds of drawings which shed light on how a place participates in the drawings themselves. Rosenthal created detailed ink drawings of items that she found on the ground on the River Trail, as well as in her neighborhood playground. 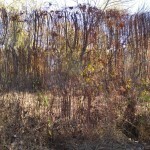 These meticulous portraits of local detritus reveal something about the character of their place. Wood, in addition to continuing his Daydrawing series (in which he has completed a new powdered graphite drawing each day since Jan. 1, 2016), experimented with ways that the environment could participate in the drawings. 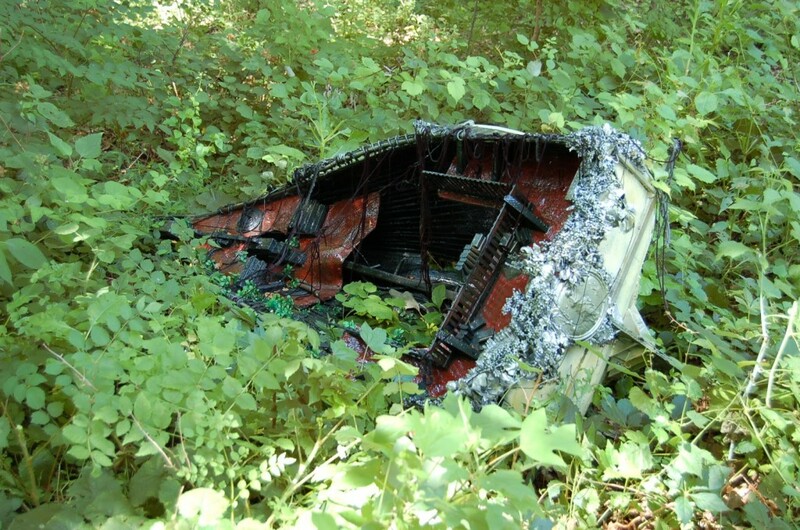 He left paper with graphite in various locations on the trail, sometimes weighted with different objects, and allowed the weather and place to shape the material. Looming large in the room will be a place-specific sculpture transplanted into the gallery by Matt Greco and Chris Esposito. This team participated in Art in the Open for the third time together this year and created an aggrandized form of a bollard – those posts used to secure a ship to a dock with ropes, a ubiquitous element from the Schuylkill River’s shipping history. Blowing this often overlooked object up to a size that cannot be ignored forces reflection on how this industrial legacy may still be felt today. 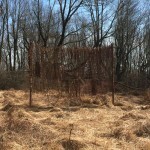 These works and more draw inspiration from place in a variety of ways, and the particular location of Art in the Open, between the Schuylkill River and the deeply urban built environment of Center City Philadelphia, offers an opportunity for artists to comment on and complicate the relationship between people and nature. 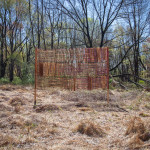 Transplanting these works to the Schuylkill Center site, which also borders the River Trail about 10 miles north of the Art in the Open site, gives us a chance to consider these relationships from yet another angle. Please join us to meet the artists at the opening reception of Art in the Open: Selections from 2018 on Sept. 13 at 6 p.m. 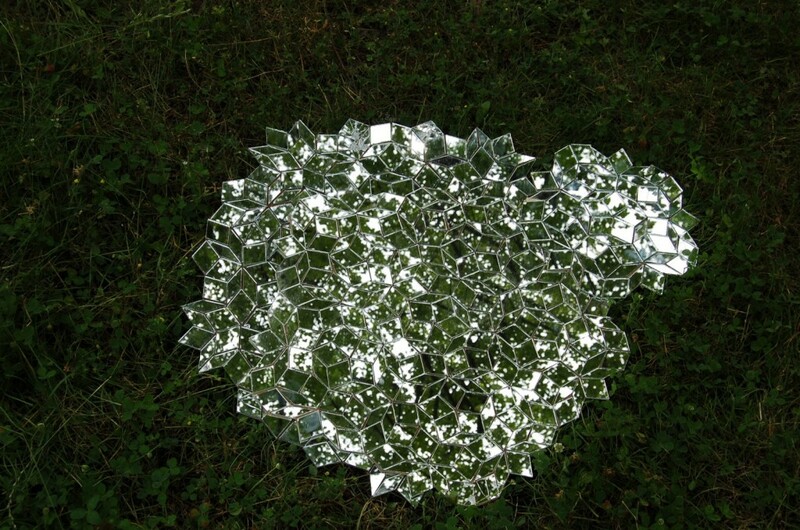 Enjoy artist talks, light refreshments in the gallery and a short walk to the outdoor installation. Art in the Open: Selections from 2018 will be on view through Oct. 27. 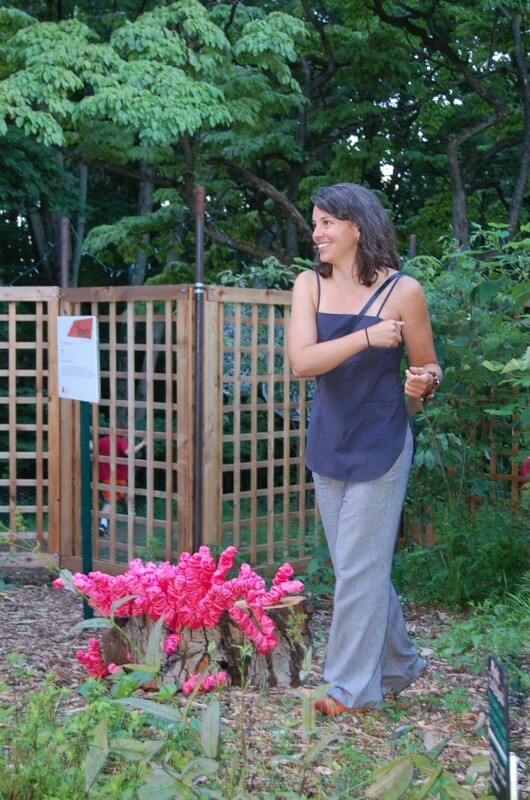 Christina Catanese directs the Schuylkill Center’s environmental art program, tweets @SchuylkillArt. 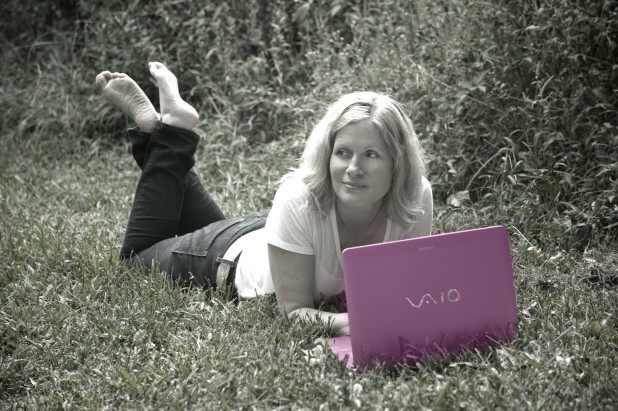 This blog was originally published in the Montgomery News August 29. Editor’s note: The Schuylkill Center produced a wall calendar for 2017 in celebration of the environmental art program. Throughout the year, we’ll run a monthly post on our blog highlighting the art works featured in that month of the calendar. “I imagine a line in space. I build it straight and true and offer it to the wind. 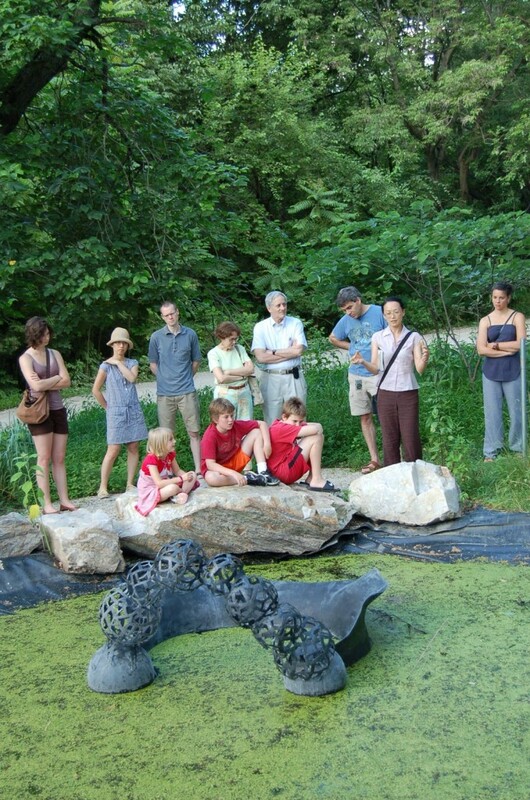 Tim Prentice’s Yellow Zinger was part of an outdoor exhibition at The Schuylkill Center in 2010 called Elemental Energy: Art Powered by Nature. Most people know that we rely on plants for the food we eat and the air we breathe, but the interconnections between plants and people actually go much deeper and are more nuanced. Scientists continue to discover the complexities of how plants take in and respond to information, even communicating with each other through underground networks and chemical signals. Human systems powerfully influence plant communities, locations, and health – and they also exert a powerful influence over us. 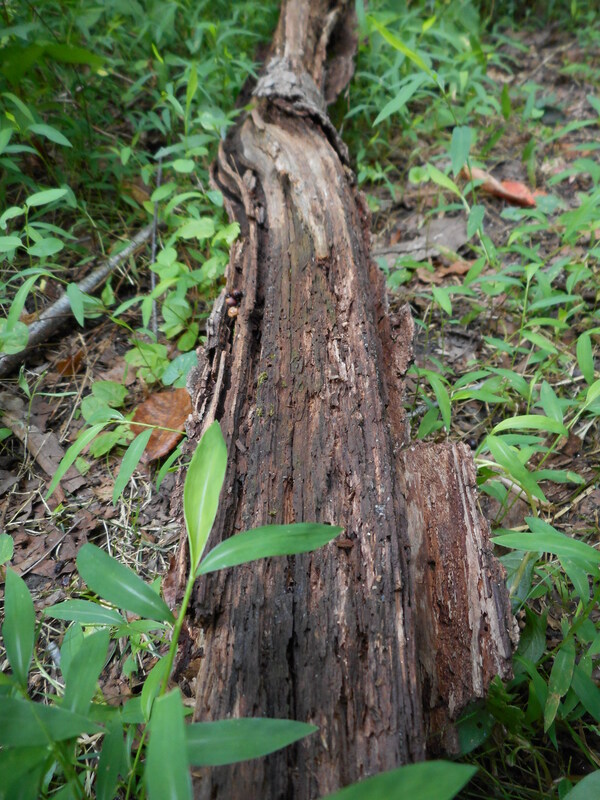 Yet, despite the intricacies of the plant-human relationship, plants are often overlooked, even compared to other aspects of the natural world. Our fall gallery show features artists who explore the relationships between plants and people – join us for an opening reception celebrating our newest exhibition. 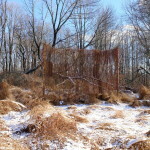 Part of the Schuylkill Center’s mission is to use our forests and fields as a living laboratory; for the art program, that means that we provide opportunities for artists to use our site as an place for experimentation in their artistic practice – which can some times look and feel a lot like play. 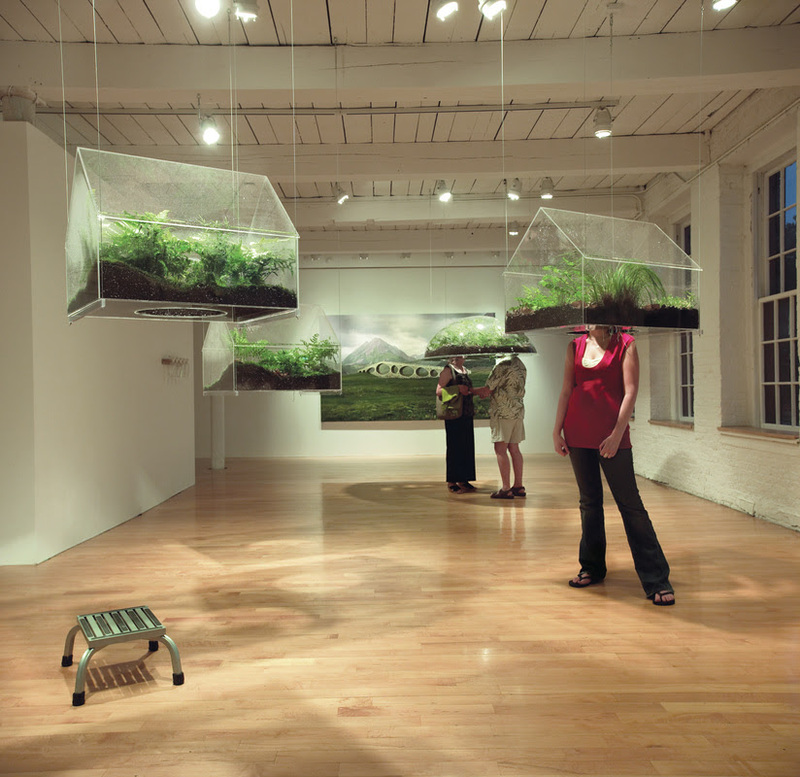 In fall 2010, the Schuylkill Center presented an exhibition called Ground Play in partnership with the Nexus Foundation for Today’s Art. 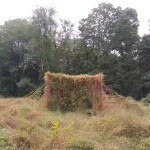 In Ground Play, The Schuylkill Center asked six artists (Susan Abrams, Nick Cassway, Jebney Lewis, Michael McDermott, Leah Reynolds, and Jennie Thwing) from the former co-op to respond to the history and physical space of its Second Site (Brolo Hill Farm) in a show from September 19th – November 28th, 2010. Second Site, known historically as Brolo Hill Farm, was at one time an active farmstead, and includes an 18th-century farm house, barn, and remnants of a plowed field once used to grow feed hay for livestock. 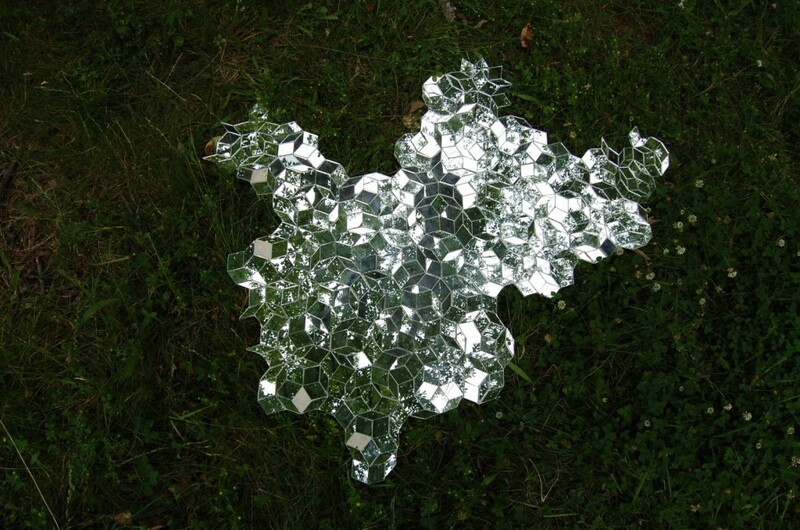 For the show Ground Play, Nexus artists considered both the agricultural and cultural conditions that might have existed on the site when the farm was active, and examined through their installations the implications of those dynamics in today’s environmental climate. For Light & Paper, Susan Abrams installed large plant photographs in the windows of the abandoned farmhouse at Brolo Farm. 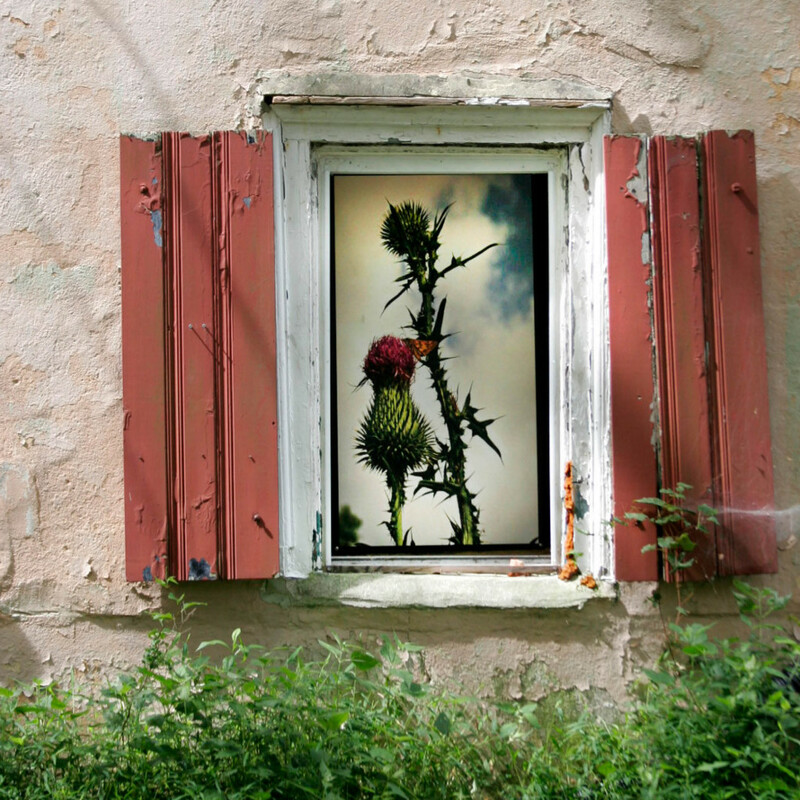 The fourteen photographs mounted in the boarded up farmhouse windows focused on small and often overlooked aspects of the Brolo Hill Farm site and play with scale by making the images much larger than life. The photographs were in sharp relief to the more abstract pulp-painted handmade paper works she also installed, which not only interpreted the site but also incorporated materials gathered there. 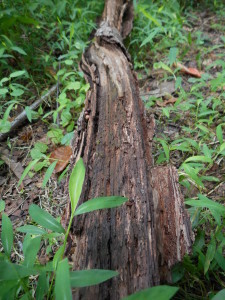 Abrams used natural materials found at Second Site as subjects in the photographs and as ingredients in her handmade paper. 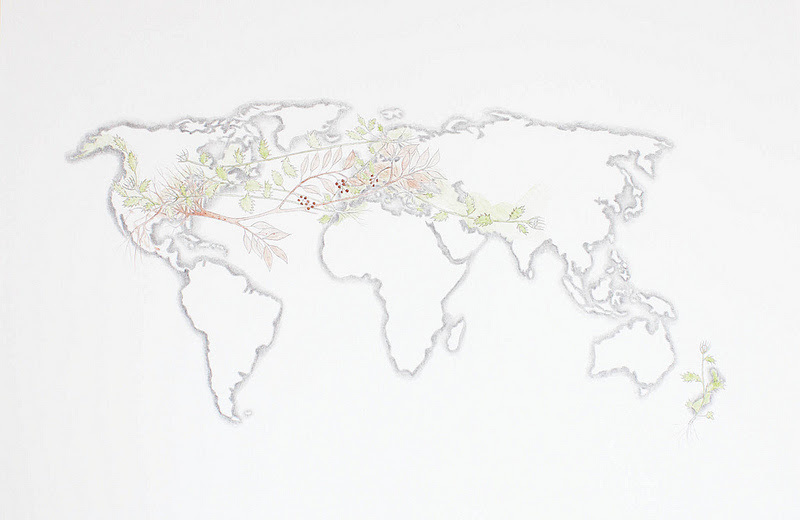 The paper works will weathered and changed over the course of the exhibition adding nature as an ongoing component to the art. 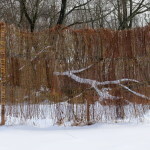 She approached this singular environment by examining many of the small details, often unnoticed, yet essential to the landscape, then enlarging them to a human scale, inhabiting the house, as they do the Schuylkill Center’s site. Leah Reynolds presented The Combustibility of Hay and Farmer’s Lung, a large work hung on the side of the old barn at Brolo Farm. 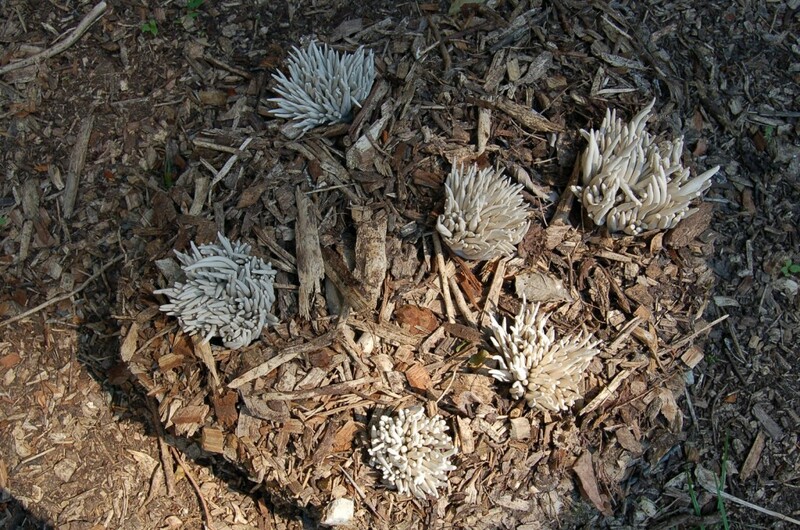 The title and imagery refered to the fungus “Aspergillus furnigatus” which grows in baled hay and may cause it to spontaneously ignite (the Brolo Farm chiefly produced hay). 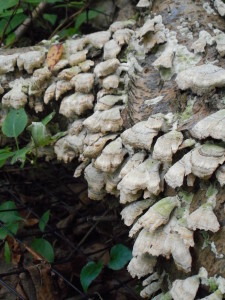 In general, fungi are crucial to the recycling of nutrients within ecosystems because they break down organic matter (they form networks connected by tubular branches called hyphae). This particular fungus may also cause a disease known as “Farmer’s Lung” when the mold spores that it produces are inhaled in an enclosed area such as a barn. 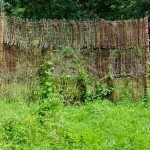 Reynolds’ piece covered the face of the Second Site barn with acrylic-coated fabric, giving the impression that it has been inundated with a large and virulent fungus. Reynolds playfully tackled this topic with bright colors, transforming the barn into a giant art object. Editor’s note: Reynolds’ work is also on view as part of our summer 2017 exhibition, Making in Place, on view through August 12! 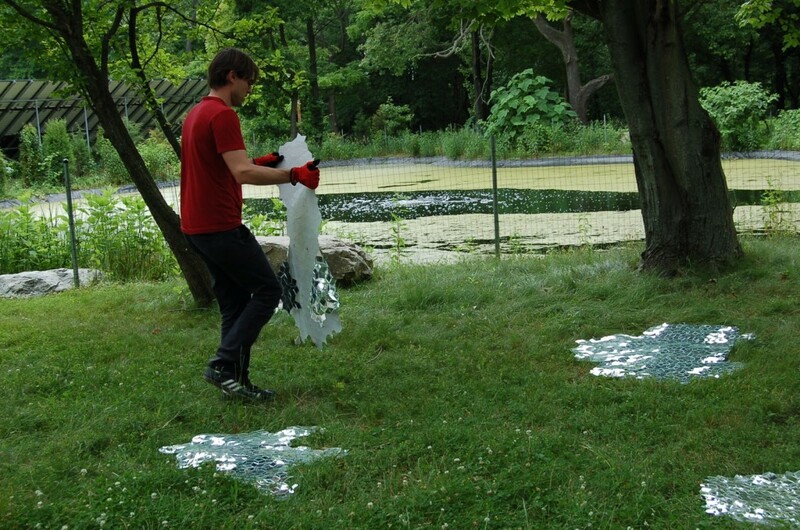 Nick Cassway’s In the Woods responded to Brolo Farm with a group portrait series created by computer cut reflective vinyl. The title refers to being dislocated, either physically or psychologically; feeling out of your element, vulnerable, over your head. The 36 drawings are separated into 3 “acts”: the enticement, the partaking, and the repercussion. Collectively, these images were meant to form and emotional tapestry; there is no singular narrative thread. The pieces used the language of road signage – the shapes, stature, and materials – to literally become “warning signs” scattered throughout the landscape. The drawings were made using computer cut black reflective vinyl (traffic engineering film) mounted on matte black painted aluminum panels and for maximum effect were intended to be seen at night via flashlight. Editor’s note: Images from Ground Play were also featured in our wall calendar for October – stay tuned for a blog post in early October covering the other three artists in this show! 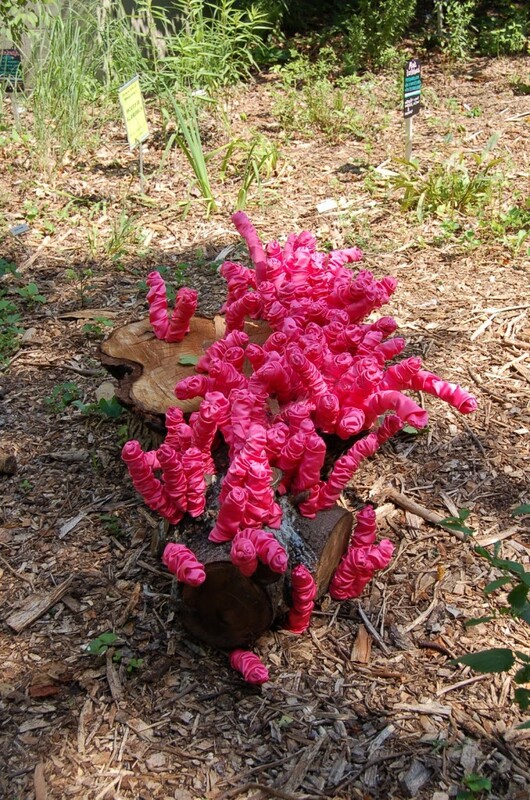 Works were exported from the studio and given a new life outside for Out of Bounds, a show presented in collaboration with The Center for Emerging Visual Artists in 2012. 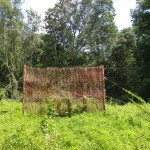 From June to September that year, work was placed against the backdrop in which it was inspired by – the natural world. Some works were recreated and recontextualized, while others played with the natural elements, giving the viewer a new perspective on the familiar landscape. 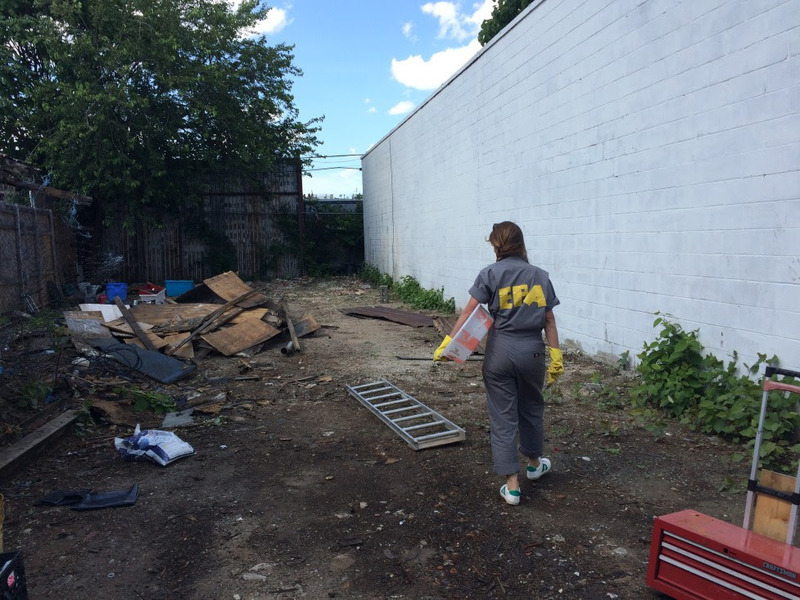 Curated jointly by the Schuylkill Center’s then-Director of Environmental Art, Jenny Laden, and CFEVA’s then-Director of Career Development, Amie Potsic, Out of Bounds renewed a partnership between the organizations that continues today. 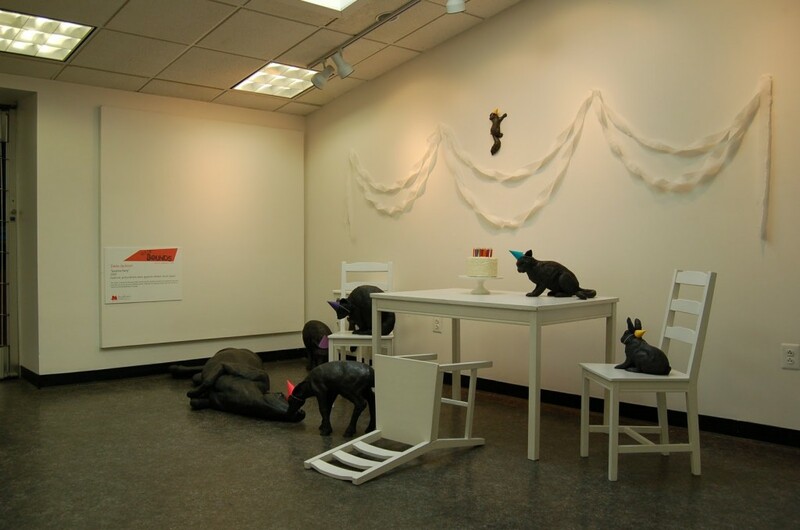 The exhibition featured seven fellows and alumni of CFEVA’s Career Development Program, a 2-year fellowship for artists. 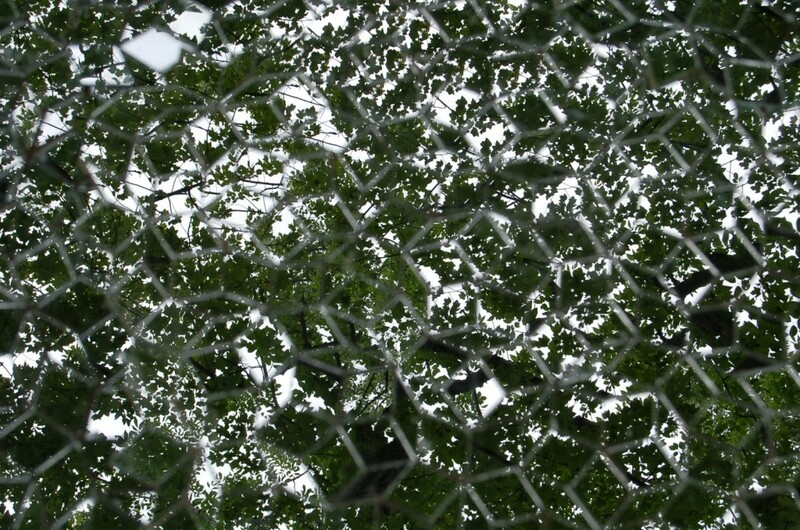 Caleb Nussear played with mirrors, layering the visual experience of the woods. 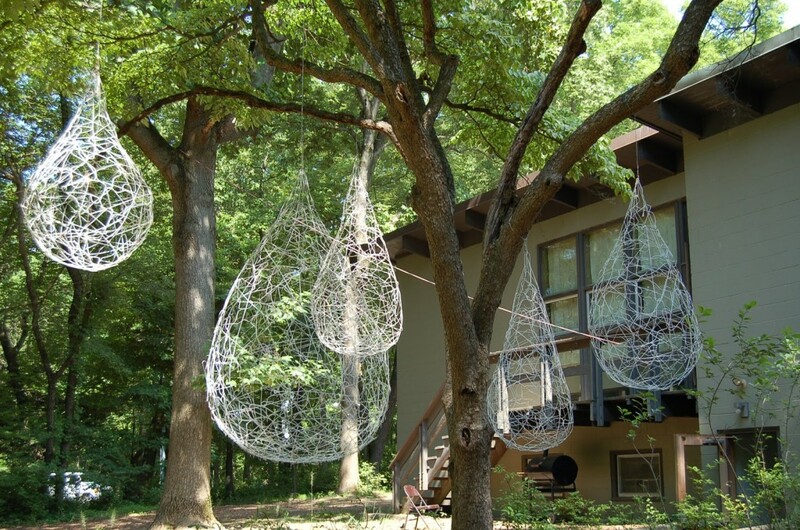 Susan Benarcik transformed wire hangers into large dewdrop like sculptures that hung near our Visitor Center. 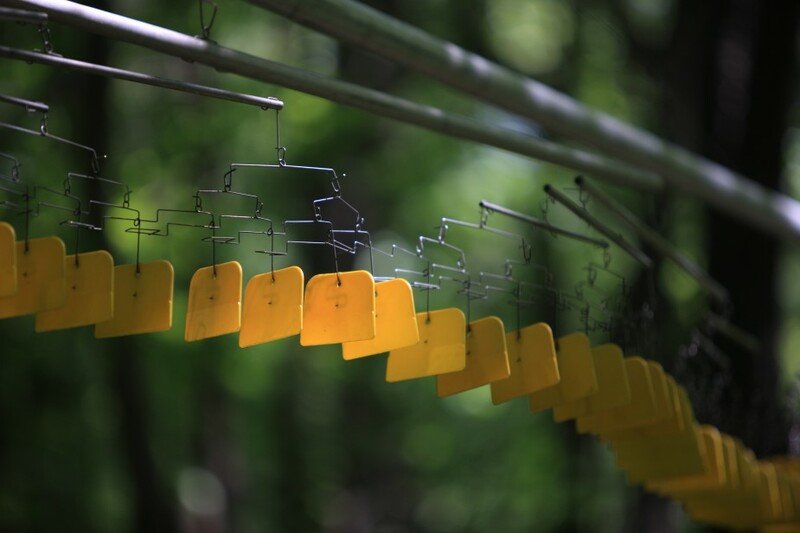 Editor’s note: artist Oki Fukunaga also utilized hangers in his sculptures as part of our summer 2017 exhibition, Making in Place, on view now! 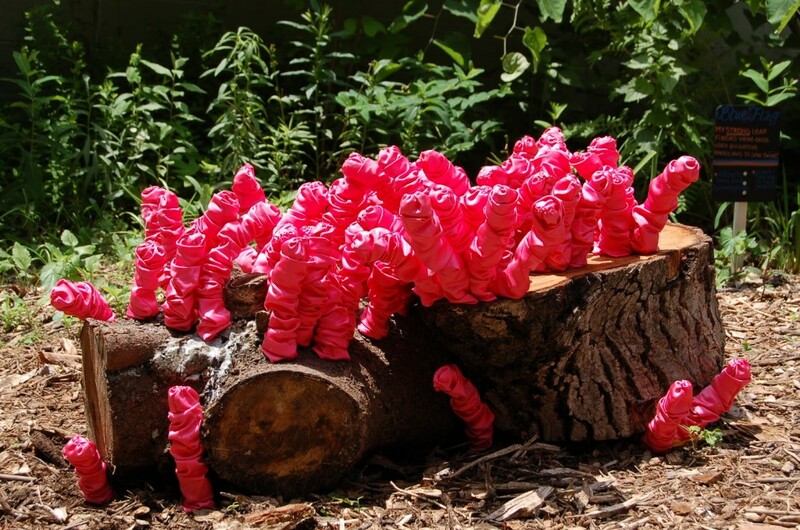 Ana B. Hernandez’s fabric sculptures added a bold pop of color while suggesting fungal growth on decaying logs. 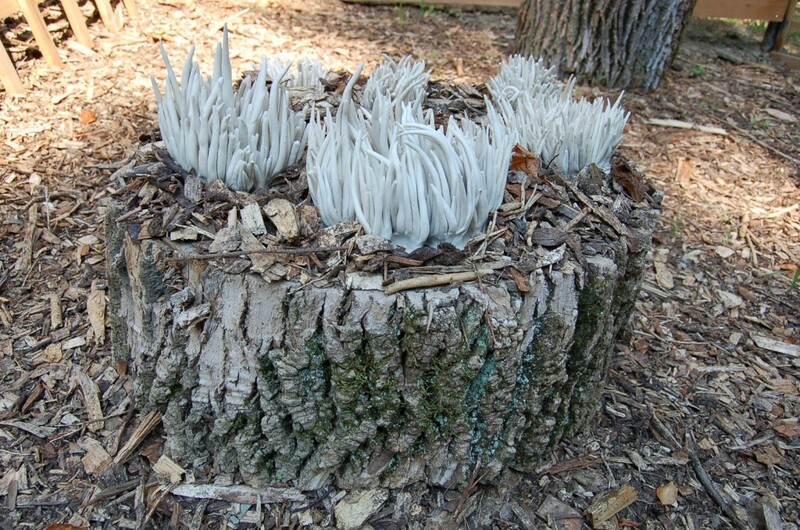 Brooke Hine’s white anemone-like ceramic forms enlivened tree stumps more subtly. 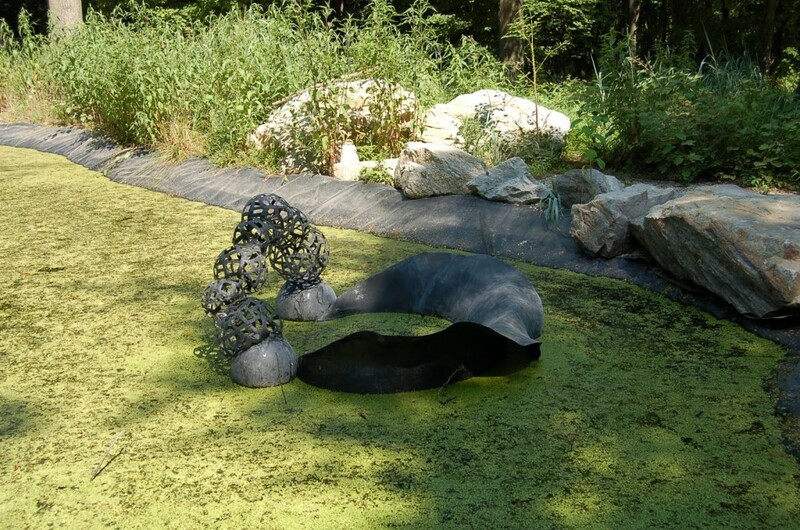 Mami Kato’s work was installed in our Fire Pond, and was inevitably surrounded by duckweed, a floating aquatic plant. 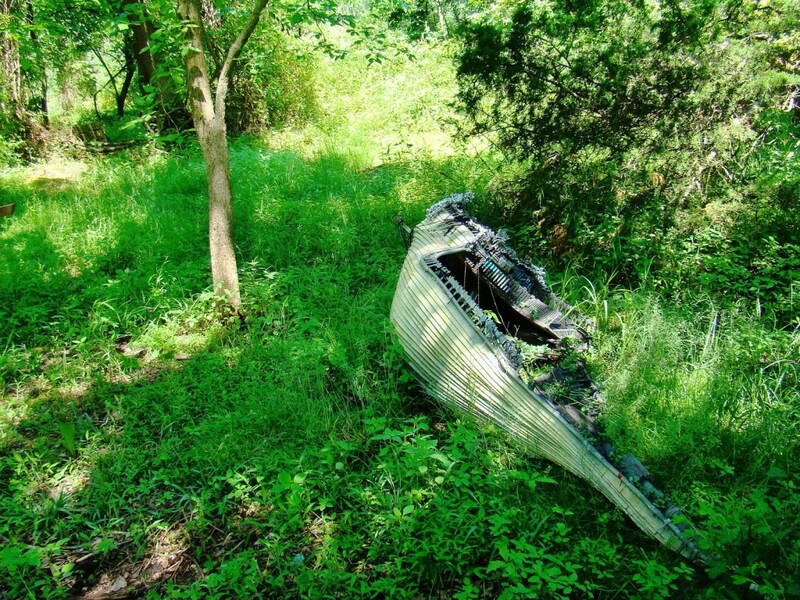 Scott Pellnat’s giant boat gave the feeling of being trapped in the woods, far from any navigable waters. 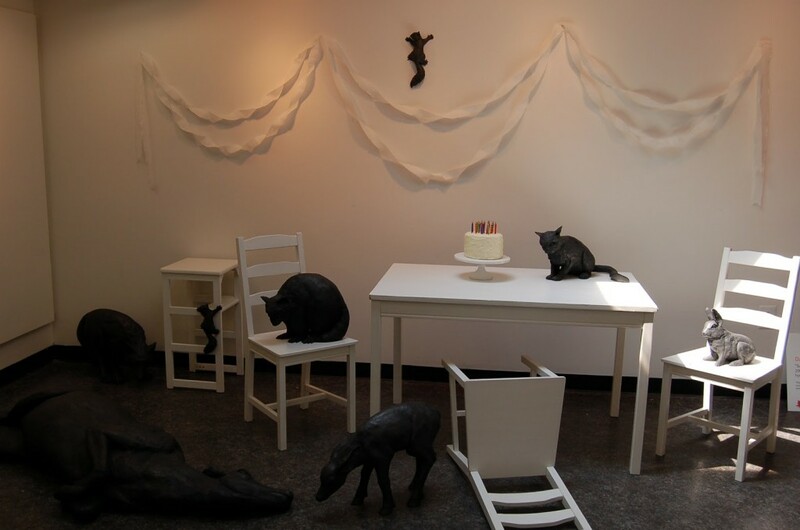 Darla Jackson’s “Birthday Party” enlivened our indoor gallery space, as a way to welcome visitors and mark the 25th anniversary celebration of the Schuylkill Center’s Wildlife Rehabilitation Clinic. 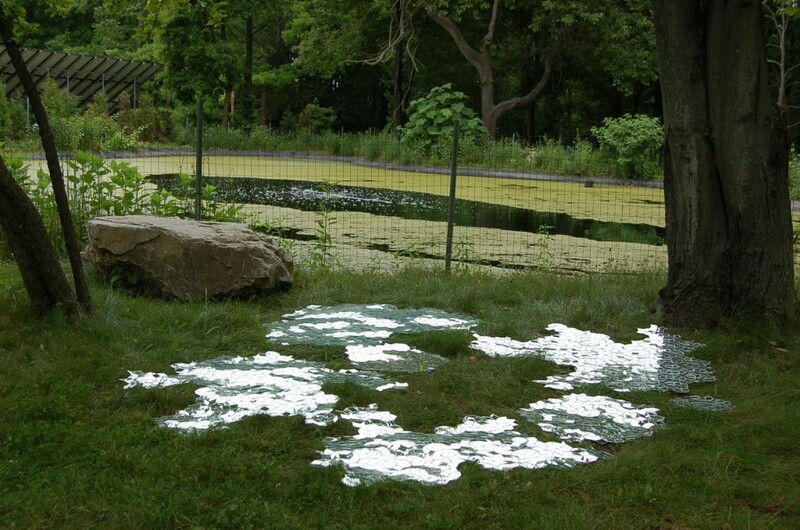 Out of Bounds allowed us to play with the boundaries of the natural & “un”natural by seeing familiar forms recontextualized to suit various environments both in & outdoors, sometimes using synthetic materials to imitate forms found in the natural environment. Imagine the quiet of a grove of tall pine trees, the impressions of your footsteps barely audible on a cushion of pine needles, punctuated by the occasional bird or creaking limb. 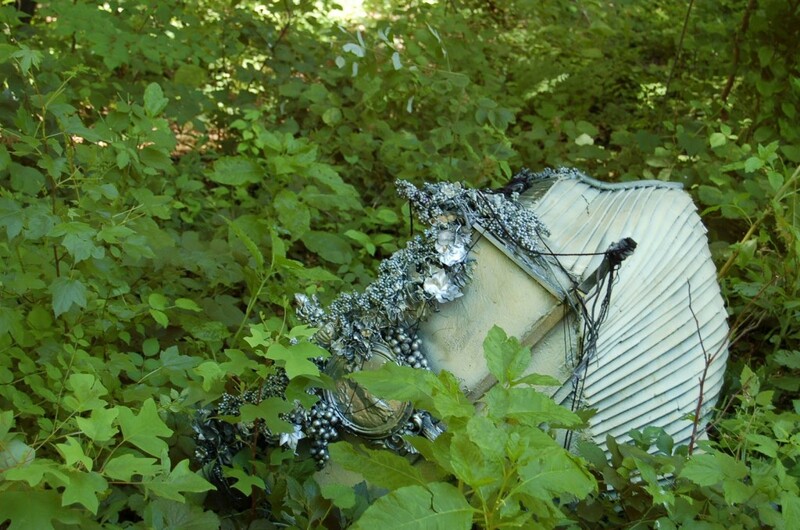 Now, imagine the soundscape also includes an ethereal voice accompanied by the haunting notes of an accordion. You’ll have the opportunity to experience precisely these sounds this summer, as artist Jane Carver performs a special one night only concert in our Pine Grove. 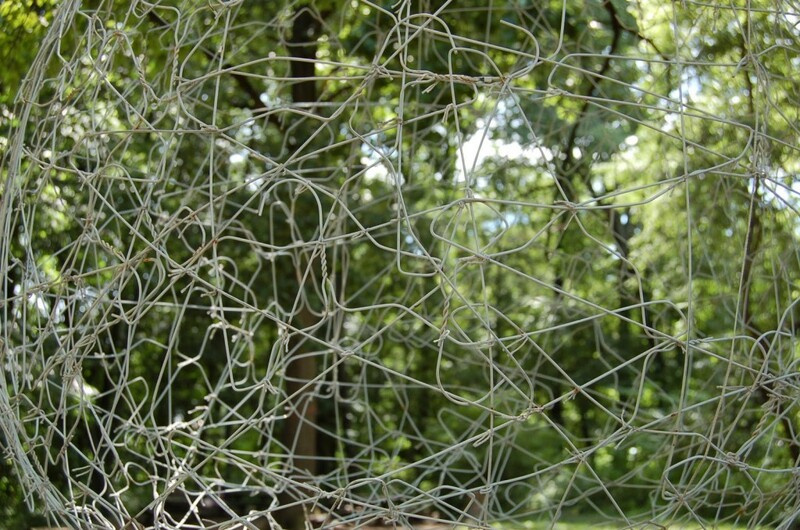 Carver is a Philadelphia-based artist and musician who is part of our summer exhibition, Making in Place. She started playing classical music when she was quite young, then branched out into folk music as a teenager. 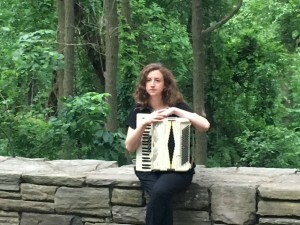 She is primarily a vocalist and an accordionist, both of which she will share in her concert in July. At the opening reception for Making in Place in May, Carver performed a few songs in our amphitheater, and this idea truly resonated with me. Most of the lyrics were in Bulgarian and so I could not directly understand the meaning, yet as I listened to Carver along with the wind in the trees of the Schuylkill Center and the sounds of playing children, I felt it. Carver says that the fundamental point of performing is to “create a moment that everybody can be part of,” and in the moment of her performance, we were. 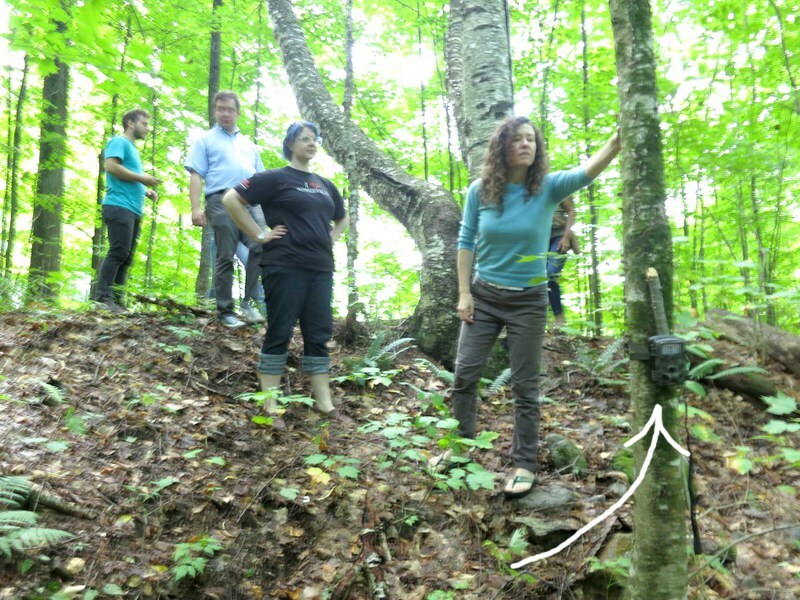 In addition to her site-specific performances, Carver spent the past few months taking field recordings at the Schuylkill Center and blending them with her own music to develop a sound piece designed to be experienced as visitors walk along our trails. Signs in the gallery and at the entry points to the Widener Trail detail how to listen to it on your own device as you explore the Schuylkill Center property. 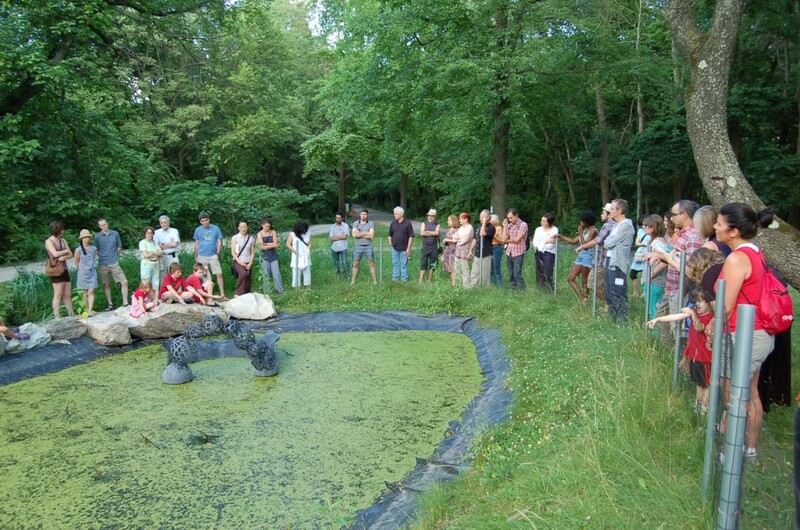 As our environmental art program grows and develops, we hope to offer more performance events and multidisciplinary art experiences, expanding from environmental art to environmental arts. If you couldn’t join us for the opening reception, I hope you won’t miss seeing Carver perform this summer – it’s sure to be a special night. Editor’s Note: Quotations from this video were drawn from an interview with Jane Carver conducted by students from St. Joseph’s University’s Beautiful Social program in collaboration with the Schuylkill Center. An excerpt from this piece was published in our summer newsletter in June 2017. A few years ago I sat at my computer reading the latest on the demise of the glaciers in the Arctic. I was angry with the polluting corporations, fed up with the greed of the oil industry, disgusted by people’s consumption, and alienated by a government ruled by lobbyists. I felt frozen, as if calamity had already happened; some days I was even bleak about the future. My home thermostat was set to 69, two of my computers were on, I was surrounded by electronic parts for a project and I was getting ready to drive to Whole Foods in a Honda Element wearing a puffy NorthFace jacket picturing a tall Chai Latte. Feel free to laugh, as I’m certainly laughing now as I write this. How long did it take me to figure out that I was the problem? 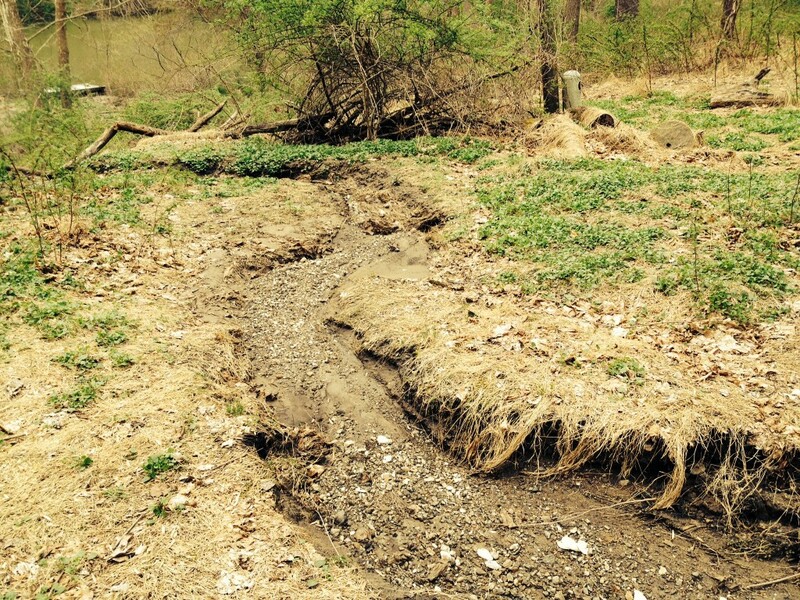 Luckily for me a a few years ago I also discovered the Schuylkill Center’s LandLab program and started an investigation of a gully that had formed from stormwater runoff on the southeastern side of the Center’s property near Port Royal Ave. This water finds its way down to Wind Dance Pond, where it eventually overflows into the stream. With the help of Stroud Water Research Center I was able to develop a monitoring system to measure the changing depths of the stream. While this was an interesting project, what is pertinent is the fact that I was forced to face climate change head on. Philly is getting hotter and wetter, and while the Center can’t stop mother nature’s waters it can encourage artists like me to communicate the problem and get involved. After the project was over, the Center asked me to collaborate on two other art/education projects dealing with water issues, thanks to a grant from CUSP (Climate & Urban Systems Partnership). CUSP is working on preparing Philadelphia for the future issues brought by climate change and they work locally getting neighborhoods on board using friendly techniques. I decided to join their efforts and have become part of a team of organizations and individuals starting conversations, offering education and demonstrating mitigation techniques.Thanks to their workshops I’ve learned how to discuss this topic without scaring people, have discovered what other partner cities are doing to face the same issues and have attended lectures by experts in the field. I should mention that I don’t have a science background, but I do consider myself a citizen scientist. 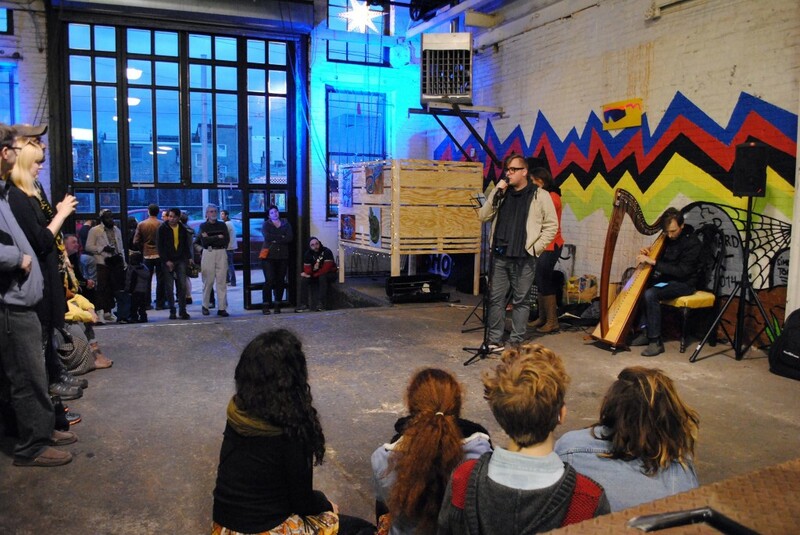 CUSP’s strength is its ability to bring all types of people together, and later in the year I worked with another member artist to create the first climate change art festival under their umbrella in Fishtown. It was exciting to create my own art on the topic of corn and weather, and fascinating to see how people expressed their climate concerns using mixed media, including spoken word and music. The Schuylkill Center’s fall 2016 exhibition on climate change was part of the same grant and has brought together even more artists and enabled more people to join the conversation. As you can see, what started as a small project has snowballed, and I find myself looking for other ways to combine my interests to work on the problems of climate change. One of my strengths is working with electronics, so I recently joined Public Lab, a grassroots movement using DIY techniques to address environmental concerns. I attended their LeafFest gathering, which was a weekend camping trip where members demonstrated their latest environmental work including solar balloons, an Arduino modem style device and a trail cam. I learned about a project they are developing which uses a houseplant and aquarium pump to help reduce toxins in the air. They sent me home with those materials and soon I’ll be creating a tutorial for the project that can be shared around the world. It’s all part of the mission to offer open source methods to monitor and mitigate environmental issues. So, having come from a state of being frozen like a glacier, I too am melting. There are many small changes that can help this planet,and I’m starting to make them part of my life. Nowadays I’m walking to the grocery store with my husband. It’s great exercise, less stressful and certainly kinder to the environment. I recently learned just how important it is to give feedback to our government officials about environmental matters. So, I’ve returned to my old ways of calling legislators and writing emails. Now I’m learning how to combine art and activism through free webinars from The Center for Artistic Activism. Someday I hope to engage other groups and artists in work that goes beyond education and actually encourages others to make changes. My story isn’t “yea, me” because there is probably a lot more I can do to serve this world. However, it is a huge thank you to the Schuylkill Center for helping me to realize that by working on one small problem I would gather the courage to do more. There is a reason for the Center’s commitment to the arts and it goes beyond appreciation for beauty; it’s another strategy for voice and change. We all have the ability to do more, whether it be to add water-loving plants to our yard, to make a roof reflective, to buy our food locally or to just have a conversation about the environment with our neighbor. Doing one small thing makes all the difference. What kind of strategy or skill can you offer to help Philadelphia prepare for the changes that are already beginning? Looking back over the year of environmental art at the Schuylkill Center, one of the highlights of 2016 was our gallery show, Going Up: Climate Change + Philadelphia. Along with the work of seven other artists exploring the various facets of climate change, this show included a new work by Maine artist Jill Pelto which was created specially for this exhibition, called Philadelphia Sea Level Rise Scenarios. As spring bounds in again, another year has come and gone, and almost a year has passed since our LandLab artists in residence installed a variety of exciting environmentally minded artworks last April. This cycle of a year signifies not only an anniversary, but is also a reminder of the changes that have occurred during the time in-between. 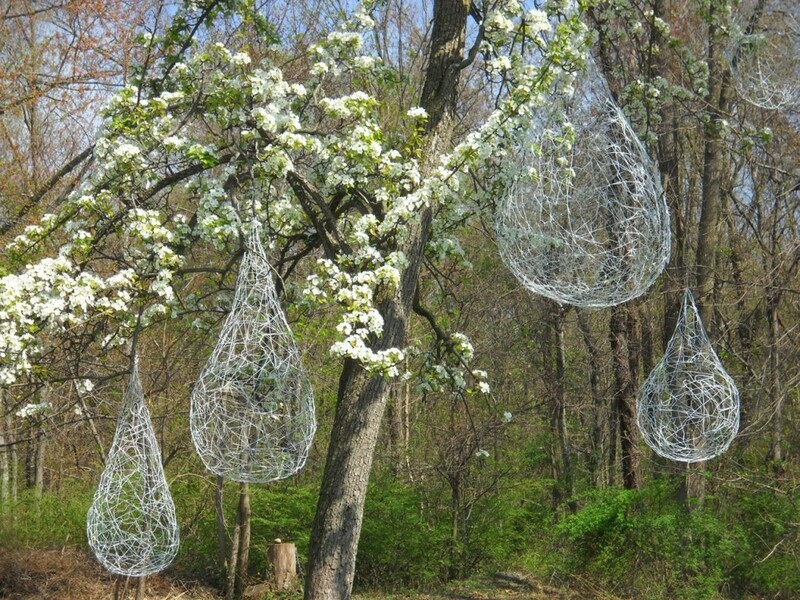 As far as the art of LandLab goes, the works have been activated by nature, shifting as the seasons do. 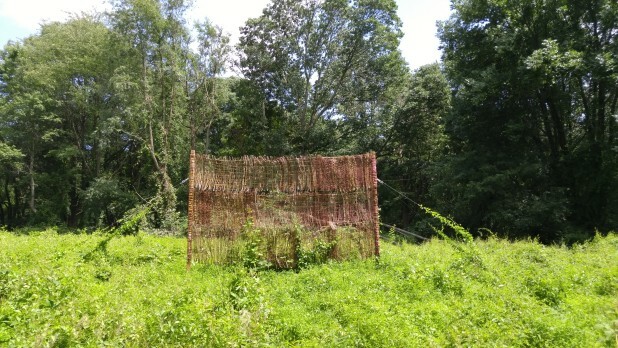 Back in November we took a look at the progress of one of these installations, but it’s now time to turn our attention to Interwoven, a project created by artist-botanist duo WE THE WEEDS. 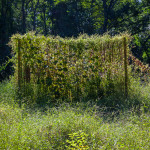 Woven from invasive vines, this installation is an exploration of invasive plants, examining the history, perception, and impact of such species on local environments, while working to remove and recycle this flora. 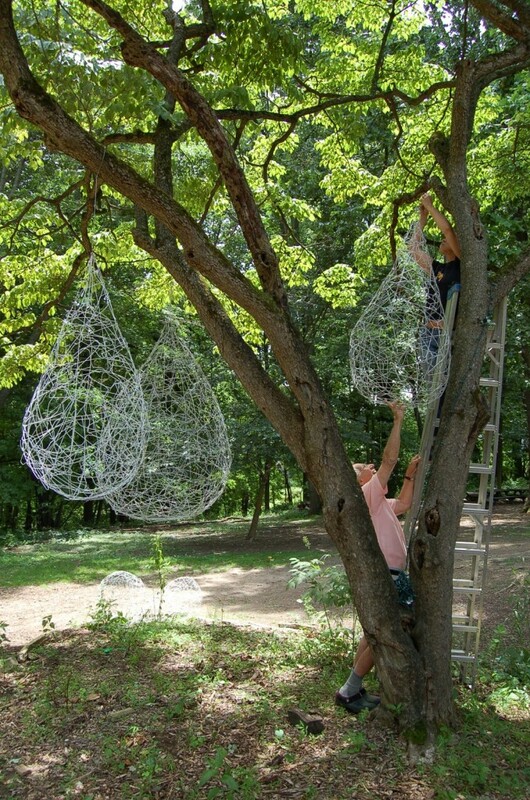 As the year has passed, there has been exciting movement among Interwoven, as the natural cycles of the earth activate the framework of this large sculptural work. 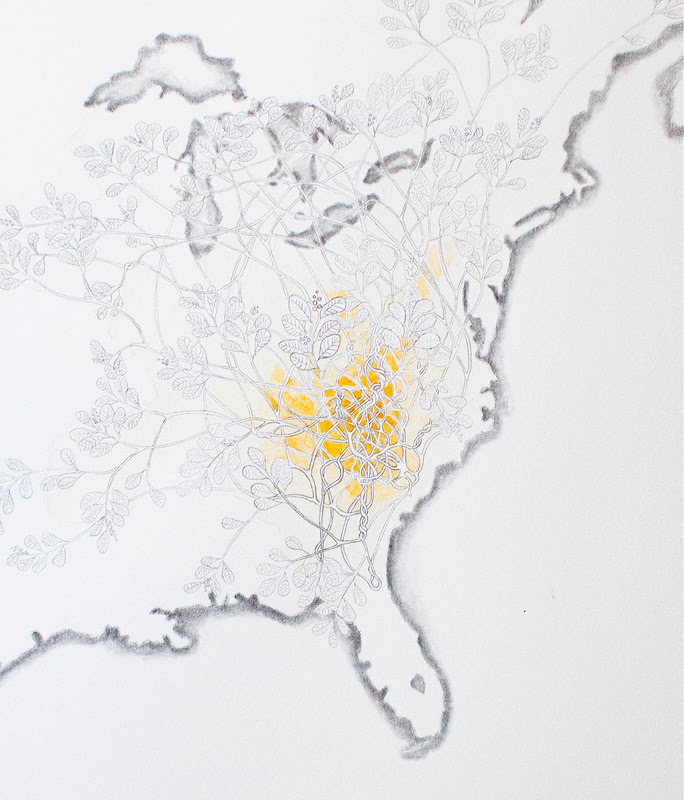 (Before Photographs): If you’re interested in more discussion of this project, or of the ecological and cultural roles of native and non-native plants, please join us on April 14th for a Botanical Cocktail Hour with artist Zya S. Levy. Spring is just around the corner and with its arrival comes the fragrant, earthy smells of thawing soil. As my residency investigating the myriad aspects of soil formation at the Schuylkill Center enters its final phases, I ‘m finding myself reflecting on the terranean dramas that will begin unfolding in earnest as the temperatures rise. The rock cliffs on the southern border of the property will shed their icy tentacles, exposing to sun and rain new fissures pried apart during the winter months. After a long winter of freezing and thawing, boulders will have transitioned one tiny step closer to becoming rocks, rocks to becoming pebbles, pebbles to sand, and so on as the mechanical and chemical processes of weathering slowly and gradually make the minerals of solid rock accessible to plant and animal alike. The mechanical weathering of the relatively soft mica schist so prevalent in the area will be particularly in evidence as its glittery particles catch the light in the rivulets of spring snowmelt. 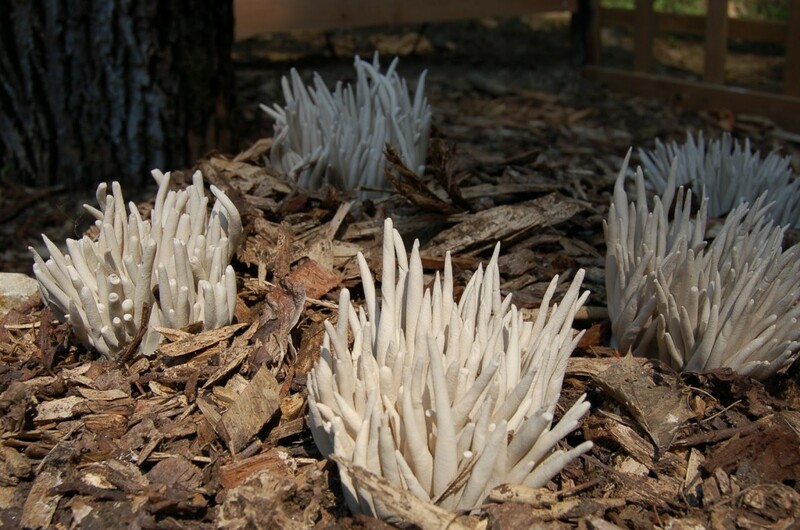 Likewise, spring is a time for the beginning of a much different drama- one that involves the long-awaited fruiting of vast underground networks of fungal organisms. 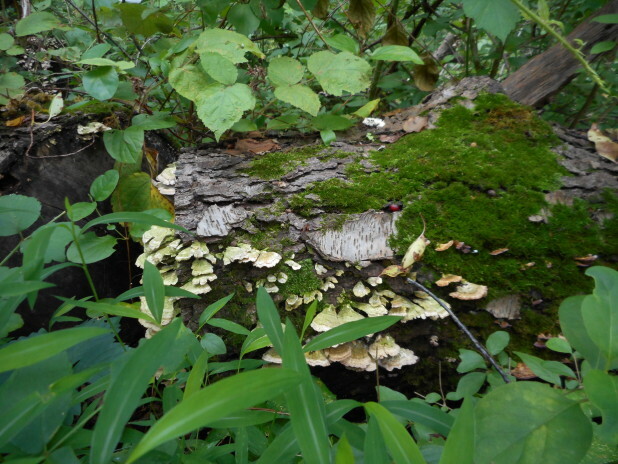 These decomposers have been hard at work throughout the year digesting all manner of otherwise hard-to-digest soil components (cellulose, lignin, even rock!). 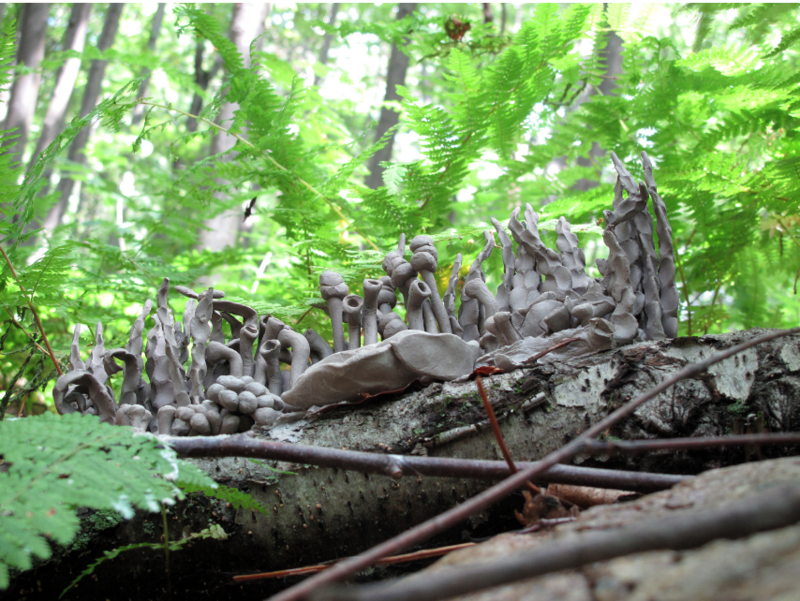 In one of nature’s amazing instances of cooperation, the fungi and nearby plant roots exchange their metabolic by-products in specialized structures call mycorrhizae. 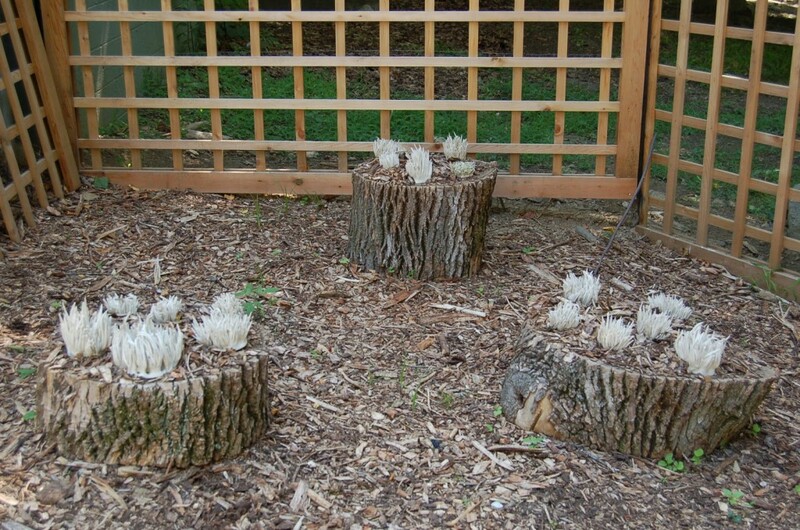 This exchange provides fungi with sugars they need to continue growing and enter the next phase of their life-cycle: fruiting. 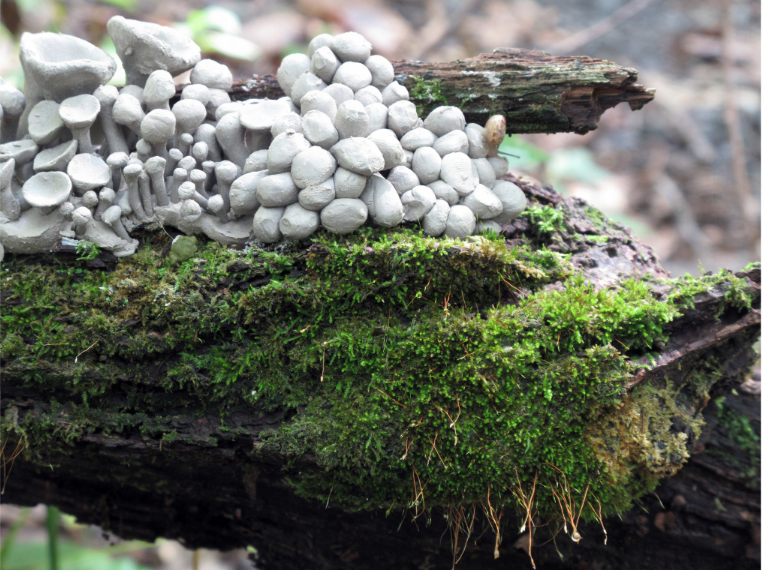 If we’re observant and in the right place at the right time, we can often witness this step in the cycle through the emergence of mushrooms, toadstools, bracket fungi, and the like. Spring is the beginning of this phase for these organisms and is such an exciting time to bear witness to life re-emerging into view! If you’ve never given much thought to soil (or even if you have and love all of its complexity! 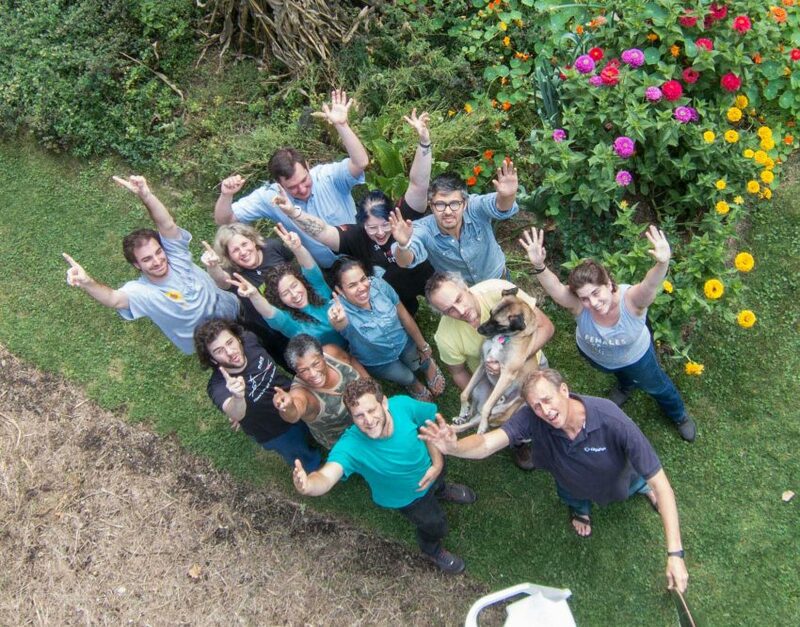 ), please join us at the Schuylkill Center for a fun evening of soil related speakers, vendors, wine and dessert. I’ll be speaking more about my residency project and the various sources of inspiration (artistic and otherwise) that have influenced my process. Others speakers will flesh out the science of soil, fungal interaction and the role soil plays in food production. It would be great to see you there. In the meantime, go give a big welcome to spring and hug some dirt!